Community Inclusion (CI) is a community-based service that is designed to help individuals safely and successfully integrate into their local community. While how this happens will look different for each person, all individuals will be provided with the opportunity to access the community in ways that are individualized and personally meaningful to them. Communitas also offers Community Inclusion Outreach supports in some regions. CI Outreach provides hourly supports for daily living to individuals living on their own in the community. Darrin Riga has always had a fascination with radio. He has visited dozens of radio stations on Vancouver Island and the Lower Mainland. 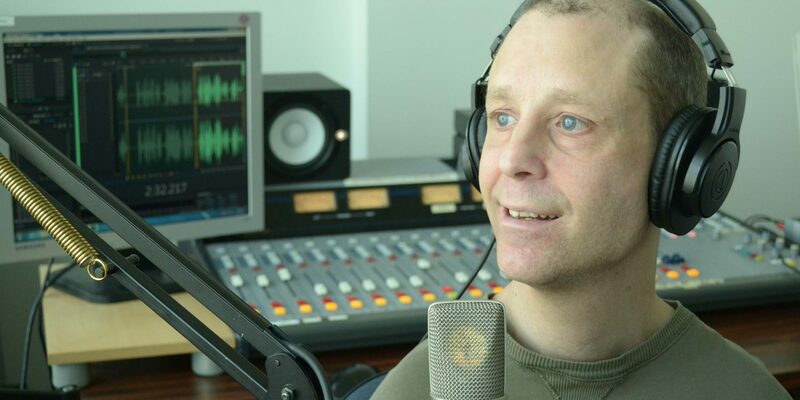 Recently, he fulfilled a life-long dream when he hosted his very own radio show on CIVL Radio, which broadcasts from the University of the Fraser Valley in Abbotsford. Darrin’s one hour show was called Darrin on the West Coast and was a mix of talk and music, featuring the eclectic mix of tunes that Darrin loves as well as music requests from listeners. What made his show unique was Darrin himself: Darrin lives with autism and his show also featured interviews with others who live with developmental disabilities because he wanted his show to be a voice for people who live with special needs. Darrin is part of the Community Inclusion program and his worker, Brian Cucek, prepared for months to make this dream become a reality. Darrin and Brian did two shows and Darrin is grateful to CIVL for the opportunity he had to fulfill this dream. He’s also grateful to everyone who tuned in to listen. The support that Darrin receives through the Community Inclusion program enabled him to fulfill this dream. For more information, contact the Communitas office.